It’s been said that new vehicles have more lines of computer coding than a jumbo jet. As advanced driver-assistance systems (ADAS) become standard features on a growing number of mainstream models, independent shops will be seeing more and more of these high-tech cars, trucks and SUVs in their bays. The question is: Are they ready for them? 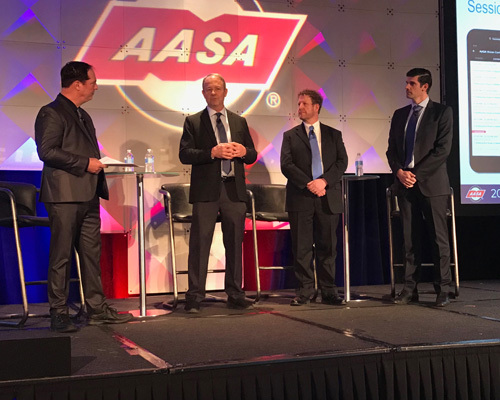 Panelists at the 2019 Automotive Aftermarket Suppliers Association (AASA) Vision Conference in Dearborn, Michigan, had mixed opinions. “At the end of the day, the vast majority of technicians have a level of fear that I haven’t seen in the last 20 years … in approaching the repair of vehicles with technology,” said Chris Chesney, senior director of customer training for Carquest Technical Institute. 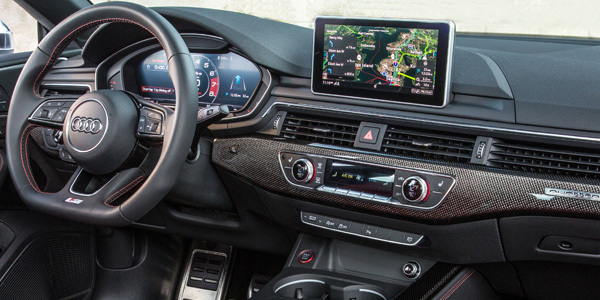 While ADAS and electric-vehicle technology grab the headlines, technicians need a solid grasp on the fundamentals of electronics and data networks to be able to work on newer vehicles, Chesney asserted. “I would say we’re struggling today to fix technology that’s in our service bay this afternoon,” he added. Jeff Flood, manager of diagnostic strategy and methods for General Motors, emphasized that now, more than ever, techs need to follow the recommended repair procedures for the vehicle they’re servicing at that moment. Dirk Fuchs, technical training manager for ZF Services, expressed confidence that shops and technicians are capable of repairing today’s high-tech vehicles, “honestly much better than the OE side.” As vehicle technology incorporates more artificial intelligence in the future, he sees cars getting smarter and easier to operate and fix. At the same time, Fuchs said he worries about technicians taking the proper safety precautions when working on electric vehicles. “You make a mistake on a high-voltage system … you are dead,” Fuchs asserted. “Here … we talk about problems and solutions. Americans don’t want to waste their time with anything else,” Fuchs said. In his opinion, U.S. technicians rely heavily on experience more so than knowledge. Flood, a former technician, agreed. From left to right: Donny Seyfer, executive officer for the National Automotive Service Task Force; Chris Chesney, senior director of customer training for Carquest Technical Institute; Jeff Flood, manager, diagnostic strategy and methods, for General Motors; and Dirk Fuchs, technical training manager for ZF Services. “What that’s telling us is … [we]need to move from an outcome-based education model – problem-solution – to a competence-based model where you understand the foundation of electronics well enough that you can appropriately address a CAN-bus or a data-network problem based on the architecture of it,” Chesney added. As vehicle technology grows more complex, it will be increasingly important for shops to ensure their technicians are qualified and certified to work on the vehicles in their bays, the panelists asserted. Not only will certification be critical to repairing the vehicle correctly, but also to ensuring the safety of the technician, especially when working on high-voltage systems found in electric vehicles.